Lyft’s business is built on the premise that having a car is expensive and as more people move into urban areas, they are shifting away from owning a vehicle to using services to get around. In the US alone, households spend over $1.2trn a year on personal transportation. Lyft says it has a 39% share of the ride sharing market in the US, up from 22% in 2016 but still below Uber which is still the industry’s biggest player. Uber also operates globally although in recent years it has sold off stakes in its Chinese and South East Asia businesses. 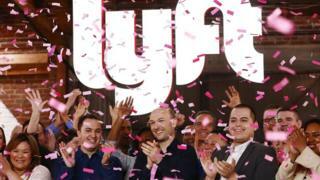 Mr Zimmer, president of Lyft, said the company was content to focus on the US and Canadian market. At the flotation price, Mr Green’s stake was worth about $600m while Mr Zimmer’s was valued at $415.8m.